Due to the large number of people requesting legal aid, Suaka is unable to meet with you until you have done your best to provide these things. If you cannot read and write please speak with other members of your community and ask them to help you write your statement. This page is for information only. It is not legal advice. First Instance information, please read carefully. This page explains the process of applying for refugee status in Indonesia. Please download and read our First Instance Self Help Kit (SHK). SHKs are only available in English for now. They will soon be available in Farsi, Dari, Arabic, Tamil, Urdu, Oromo, Bahasa Indonesia. – how to write your statement. Once you have read the SHK, begin to write your statement. If you would like advice on your completed statement please email suaka.legalaid@gmail.com and we will contact you. SUAKA’s legal advisors are trained volunteers, they receive no payment. SUAKA’s legal services are free. If anyone in your community asks for money to help you speak to us this is wrong. SUAKA’s legal services are confidential – we do not share your information with any other organisation. SUAKA is independent from UNHCR, IOM, Immigration, Police and Government. SUAKA’s legal advisors are not able to influence UNHCR’s decisions. We cannot guarantee your application will succeed. We cannot make your application proceed more quickly. 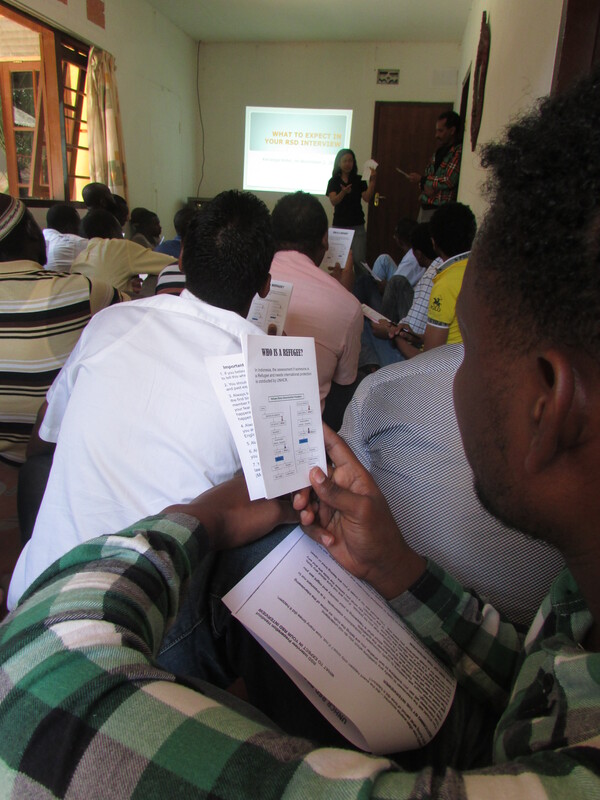 SUAKA provides legal assistance only in relation to UNHCR applications for asylum (Refugee Status Determination – RSD). SUAKA cannot provide material, financial or other assistance.